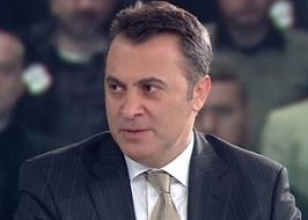 After getting the most votes on Sunday ,Fikret Orman, became the new Chairman of Besiktas Club in Turkey. Fikret Orman who studied at Florida University in the United States, became the 33rd Chairman of Besiktas Club..
Fikret Orman was born in 1967 and is successful young businessman who owns construction company in Turkey. Besiktas biggest problem is financial situation ! Reading his lips from his comments, Besiktas will let go some of the big name players next season! Michel Platini and Tayyip Erdogan met before the annual UEFA Congress, this year taking place in Istanbul on March 22 with the participation of representatives of soccer leagues from 53 countries. The Turkish Football Federation will be represented by TFF new elected president Yıldırım Demiroren. The New Era Under Abdullah Avci Started With A Loss. That is what he did in his first match as a coach of Turkey! 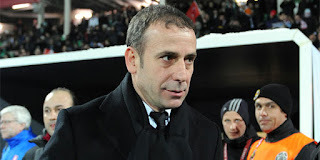 It was a disappointing first game for Abdullah Avci, who took over in November from Guus Hiddink. At the press conference Avci said, "five to six players played on the national team for the first time. I wanted to see their good intentions,work and what they want to do on the pitch. We have six more friendlies to play. We will work hard"